Cecil the lion – the most famous creature in one of Zimbabwe’s national parks – was killed by an American hunter who has boasted about shooting a menagerie of animals with his bow and arrow, The Telegraph can reveal. Walter Palmer, a dentist from Minnesota, is believed to have paid £35,000 to shoot and kill the much-loved lion with a bow and arrow. 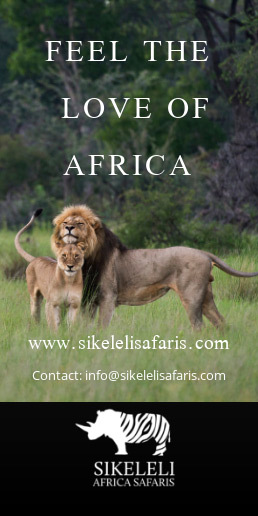 The animal was shot on 1st July in Hwange National Park. Two independent sources have confirmed the hunter’s identity to the paper, which has also seen a copy of the relevant hunting permit. Conservation groups in Zimbabwe reacted angrily to the news that the 13-year-old animal had been killed, partly because the lion was known to visitors and seemingly enjoyed human contact, and partly because of the way in which he was killed. He was lured out of the national park and shot. 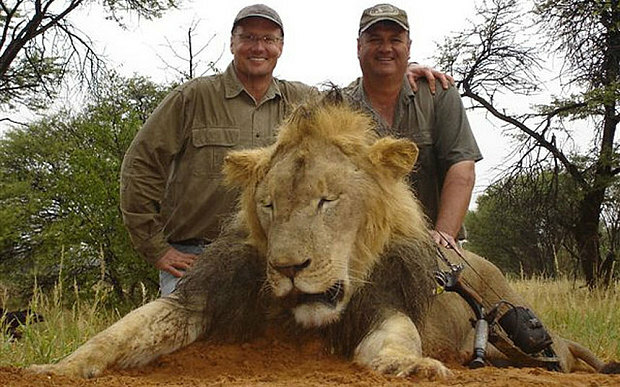 During the hunt, which the organisers later admitted was badly carried out, Cecil was lured at night about half a mile out of the national park using bait, and then shot with a bow and arrow. The next day he was found wounded by the hunters and killed, before being beheaded and skinned. Animals cannot be killed within the confines of the park. The hunters then removed his collar – further contravening park rules. The professional hunter, Theo Bronkhorst, said he reported the “mistake” to the Parks and Wildlife Management Authority the following day, and it is now being investigated. The landowner bordering the national park has been charged along with Mr Bronkhorst. Both are due to appear in court on 6 August. Mr Bronkhorst, who will appear at Hwange magistrates court on Wednesday, said he was unaware of Cecil’s fame. “It was a magnificent, mature lion. We did not know it was a well-known lion. I had a licence for my client to shoot a lion with a bow and arrow in the area where it was shot,” he said. Mr Palmer, the client, describes himself as coming from North Dakota and having “a unique talent for creating dazzling smiles that complement each individuals tooth structure, skin tone and facial attributes.” A request for comment left with his office had not yet been returned. His website states that: “Anything allowing him to stay active and observe and photograph wildlife is where you will find Dr Palmer when he is not in the office.” He also has a well-documented fondness for shooting wild animals around the globe. 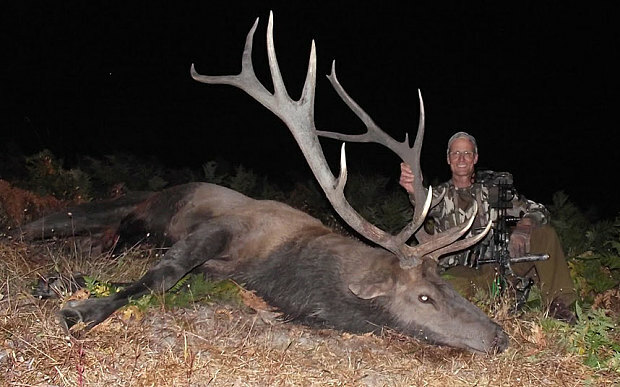 “He came to Spain to hunt with us four or five years ago,” said Guiseppe Carrizosa, a professional hunter based in Madrid. Mr Carrizosa told The Telegraph that Mr Palmer and his wife travelled to Europe to shoot chamois, fallow deer and ibex, among other animals. Mr Palmer’s reputation is such that he was listed as a client on Mr Carrizosa’s website to publicise the tours. 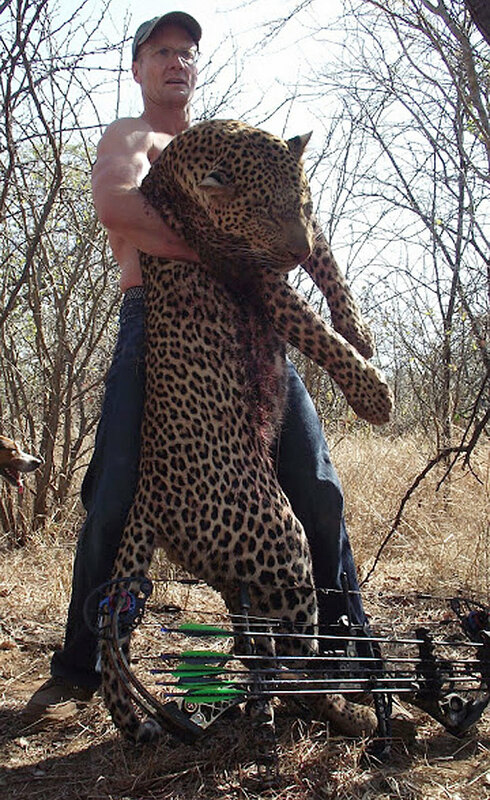 Hunting blogs feature images of him proudly showing off a 175lb leopard, which he killed with an arrow in Zimbabwe in the summer of 2010. Other images show him posing with elk, and even with a huge endangered sheep – the Nevada bighorn. California desert bighorn sheep are one of the most coveted animals for hunters. Each year more than US$200,000 is raised by the auction of the permits to shoot three desert bighorn sheep. The paper said that, having learnt to shoot at the age of five, Mr Palmer paid US$45,000 at an auction for the right to shoot an elk in 2009, in a sale promoted as financing preservation of the elk habitat. Mr Palmer has also run into legal woes. In 2008, court records show, he pleaded guilty to making a false statement to federal wildlife officials concerning the exact location of the slaying of a black bear during a guided hunt in Wisconsin. He was sentenced to a year probation. Lion hunting using firearms is legal in South Africa, Namibia, Zimbabwe, Mozambique and Tanzania – and bow and arrow hunting is legal in all the same countries but Tanzania. Individual hunting outfits are given a certain number of permits each year to hunt individual species, but in countries like Zimbabwe the system is also open to corruption. 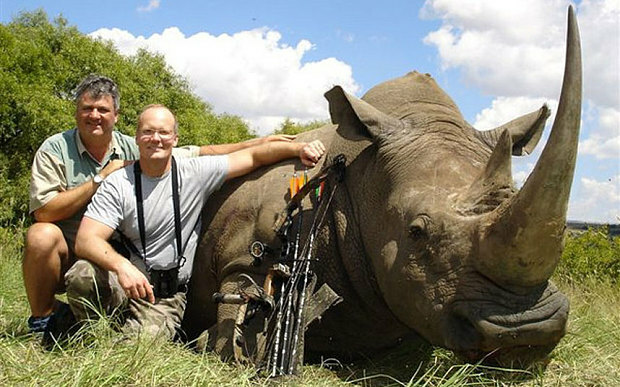 According to the Zimbabwe Professional Hunter and Guides Association, bow hunting is only permissible in private hunting concessions or communal hunting areas – never in a national park or government-controlled safari area. Lions are hunted either statically, by hanging bait from a tree then hiding nearby, or by stalking. According to Zimbabwean conservationists, hunting by bow and arrow is on the increase because it is silent and, therefore, those hunting illegally or unethically are not detected by the authorities. The Wildlife Conservation Research Unit at Oxford University has tracked the Hwange lions since 1999 to measure the impact of sport hunting beyond the park on the lion population within the park, using radar and direct observation. According to figures published by National Geographic, 34 of their 62 tagged lions died during the study period – 24 were shot by sport hunters. Dr Andrew Loveridge, one of the principal researchers on the project, told the publication that Cecil and another male lion named Jericho led two prides with six lionesses and a dozen young cubs, and he feared for the safety of the cubs now Cecil had been killed. “Jericho as a single male will be unable to defend the two prides and cubs from new males that invade the territory. This is what we most often see happening in these cases. Infanticide is the most likely outcome,” he said.